Greyhound Racing Victoria (GRV) has prepared this Code of Practice for the Greyhound Industry to assist the development of a consistent approach to the location, management and regulation of greyhound premises in Victoria. The code sets out principles for design, siting, construction, operation and management of the various types of greyhound premises, recognising the needs of the industry as well as the wider community, especially the amenity of neighbours. This document contains the prescribed application form to use and publish Victorian greyhound race fields pursuant to section 2.5.19C of the Gambling Regulation Act 2003 (Vic) (Act) and regulation 5 of the Gambling Regulation (Race Fields) Regulations 2008. Under the Act, Greyhound Racing Victoria (GRV) is the appropriate controlling body responsible for approving wagering service providers to publish and use Victorian greyhound race fields, and to impose any conditions and fees on such publication and use. 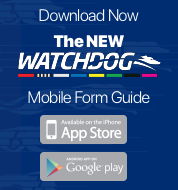 Greyhound Racing Victoria is committed to protecting the privacy of individuals' personal information. GRV is bound by the National Privacy Principles set out in the Privacy Act 1988 (Commonwealth) and the Information Privacy Principles set out in the Information Privacy Act 2000 (Victoria) ("the Acts"). Victoria has a vibrant racing industry that includes thoroughbred and harness racing (horses) and greyhound racing (dogs). Victorian racing is generally acknowledged to be the strongest in Australia based on criteria such as the financial returns to owners, numbers of races and licensed participants. Studies indicate that the Victorian racing industry contributes over $2 billion to the local economy and employs over 64,000 people in over 30,000 equivalent full time positions. Most of these positions are filled by younger people who are early school leavers and the majority are based in regional Victoria. Racing in Victoria ranks alongside the largest manufacturing sectors in its contribution to economic activity and employment. It is both an important part of our State's heritage and a competitive strength for our future. The following Acts are relevant to the conduct of racing and betting in Victoria. Administered by the Minister for Racing. Regulates the conduct of race meetings and betting at meetings. Provides for the licensing of racing clubs and racecourses; the issue of permits for minor race meetings and betting activities; and the registration of bookmakers and their clerks. Establishes Harness Racing Victoria, Greyhound Racing Victoria, Racing Appeals Tribunal and Bookmakers & Bookmakers' Clerks Registration Committee. Recognises the role of Racing Victoria Limited as the controlling body of thoroughbred racing. Administered by the Minister for Gaming and in some parts jointly with the Minister for Racing. The issuing of a wagering and gaming licence to TABCORP Holdings Ltd providing that the company has entered into an unincorporated joint venture with the racing industry. Establishes the Victorian Casino & Gaming Authority as the regulator of the gaming and wagering licence. Generally regulates the operation of totalisator and fixed odds betting by TABCORP. Prescribes the taxation regime for totalisator and fixed odds betting by TABCORP. Enforcement provisions against illegal betting (eg SP bookmaking). Regulates the advertising and communication of betting related information. Regulates the conduct of minor gaming including the holding of Calcutta sweepstakes. Generally regulates the gaming machine industry in which the racing industry and TABCORP are participants. Copies of the above legislation can be found on the Parliamentary website.